There is no question, an asado is the national past time in Argentina. Every Sunday, families, and friends across the country get together to have an Argentine bbq, cooked on a parrilla or open fire. In our very first post when we got to Argentina, we wrote about the smell of Buenos Aires , which is dominated by the odor of burning charcoal. 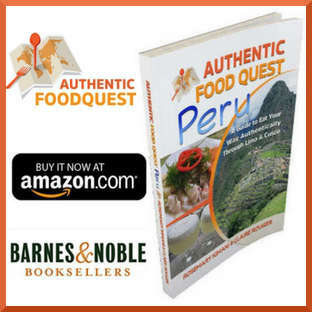 Our quest to understand the culinary and cultural aspects of cooking with fire led us to Latin America’s and arguably Argentina’s most high profile chef Francis Mallmann. 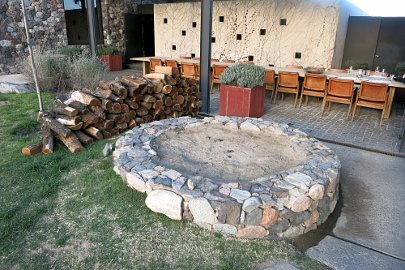 Francis Mallmann introduced us to Siete Fuegos, in Mendoza where we learn the Seven Fires techniques that inspire his cooking. 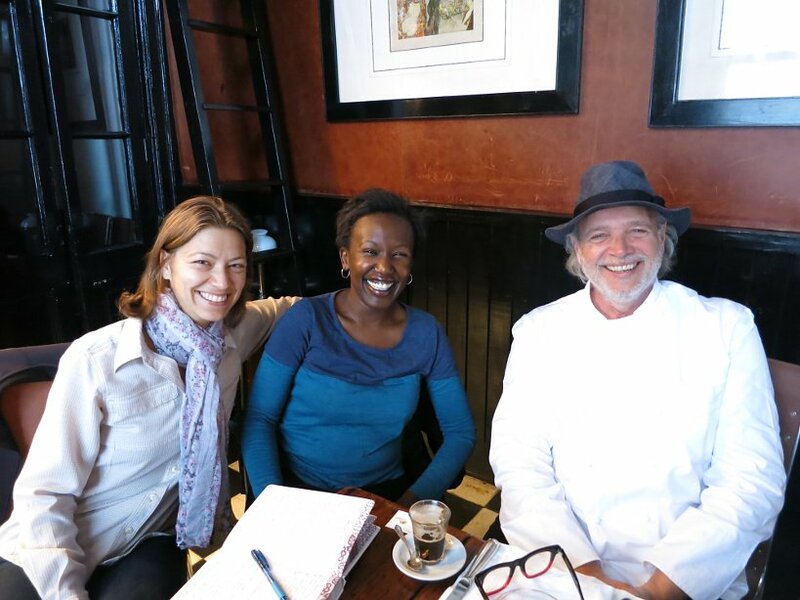 Rosemary published a brief recap of our meeting with Francis Mallmann on her LinkedIn profile, which you can read here. 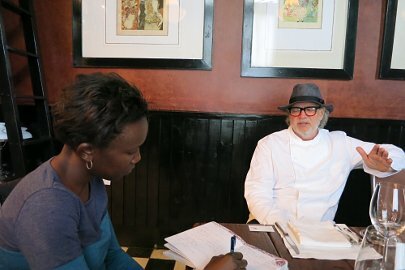 Francis Mallmann, chef and author of Seven Fires: Grilling The Argentine Way, agreed to meet with us and very generously and graciously gave us time from his hectic schedule to share his thoughts about cooking, grilling, and Argentine cuisine. 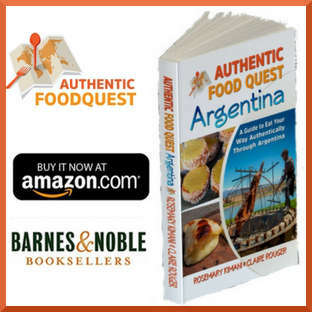 In this short video below, Francis shares his views about food and cooking in Argentina. Our meeting with Francis took place at his restaurant Patagonia Sur in Buenos Aires. 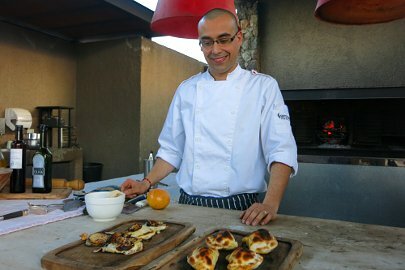 This intimate modern yet rustic one-table restaurant is not his typical “cooking with fire” restaurant, and as a result, he invited us to see the Seven Fires Cooking approach on our trip to Mendoza. 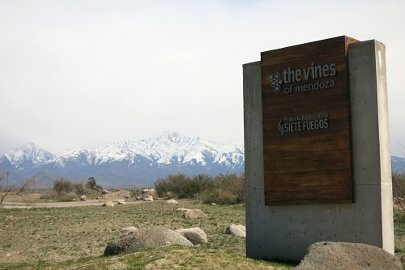 Siete Fuegos or “Seven Fires” by Francis Mallmann is the signature restaurant at The Vines Resort & Spa. 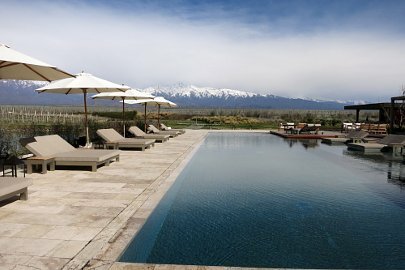 It is located in the famous wine growing region Uco Valley about 1.5 hours from Mendoza. 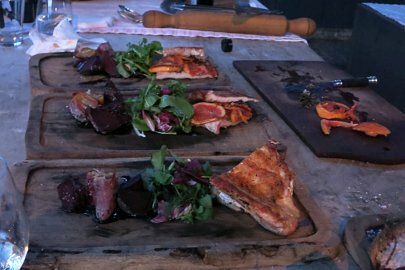 We spent one night at the resort jam packed with activities including a private cooking class with a chef to understand Mallmann’s approach to cooking with fire. 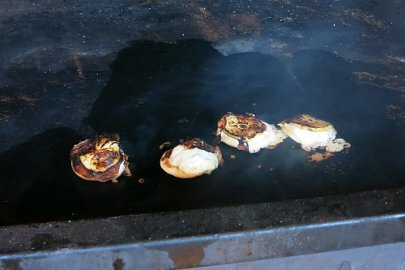 We cooked using 5 of the 7 techniques of open flame cooking and we describe each below. 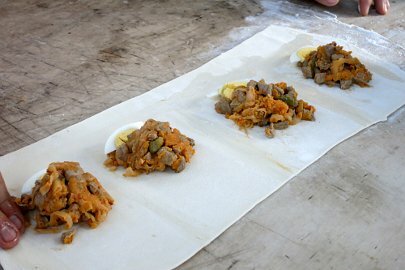 The first meal we prepared were vegetables, which were cooked in the Infiernillo. 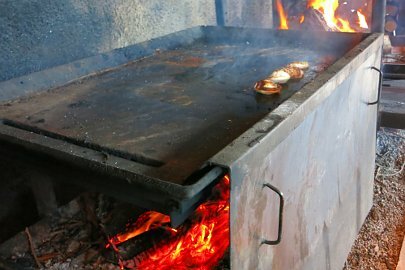 The infiernillo is a cooking technique that uses two fires with a cooking level between them. 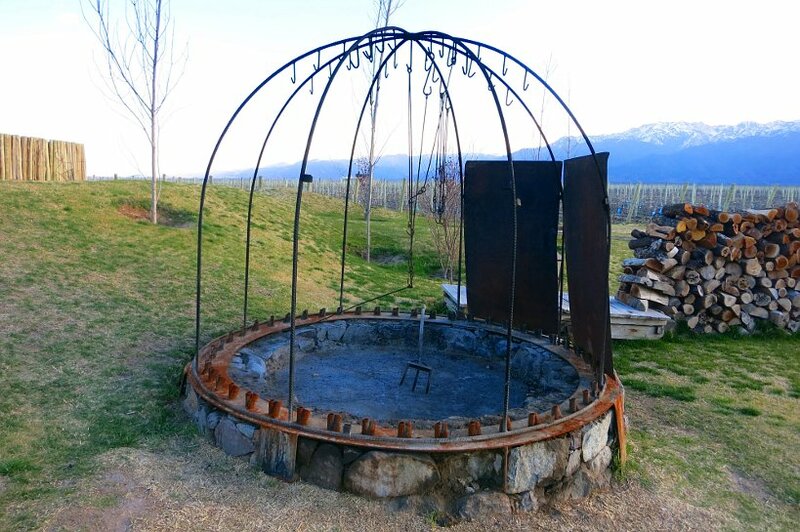 It is used primarily for cooking products with skin, such as vegetables, salmon or chicken. Beets, potatoes, and garlic in our case were encrusted in a dough or mixture of rock salt and water and then placed in the infiernillo to cook until the salt became hard or for about 30 minutes. Interestingly, the Infiernillo is also referred to as “little hell” because of the fire cooking the dish from the top and bottom at the same time. 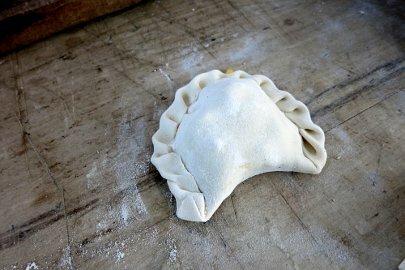 Once the vegetables were on the fire, we moved on to the next step of making our own Mendocini meat empanadas. 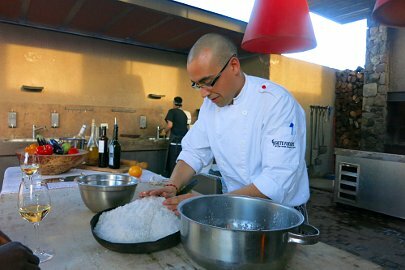 In the short video clip below, Chef Matias talks about the Mendocini ingredients and cooking style. 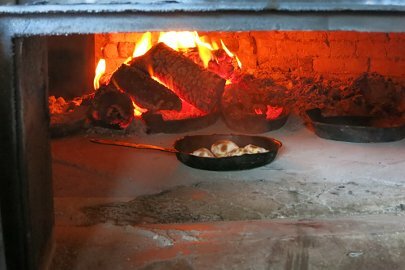 In addition to making empanadas, the Horno de Barro or wood fired clay oven is also used for baking bread or making pizzas. 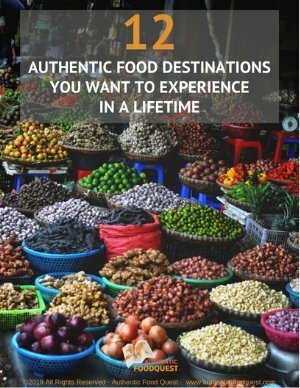 Its actually one of the techniques that is used practically all-day long at the restaurant. 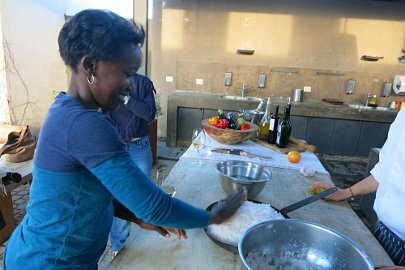 At The Vines, they use the plancha for cooking cheese, beets, prawns, pears and more. 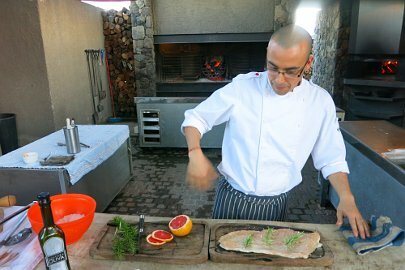 Our main dish matambre (pork flank) with rosemary and slices of grapefruits and salt was cooked on the traditional Argentina parilla for about 7 – 10 minutes. In the short video below, chef Mathias talks about the particularities of the wood used which has a huge impact on the flavor or taste. The caldero is a large cast iron kettle or Dutch oven. In it, Chef Matias prepared a traditional dessert from Francis Mallmann called ‘Frutas a la Piera’. 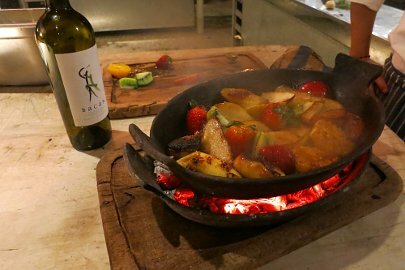 The dessert consists of fruits like kiwi, bananas, apples, strawberries and oranges cooked in butter in the caldero. Once the fruits caramelize, they are topped with vanilla ice cream. 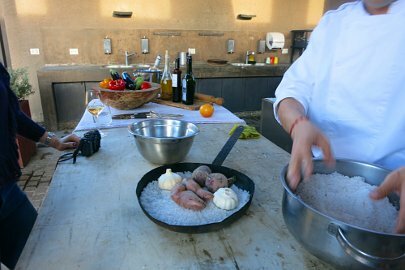 We enjoyed the scrumptious meal on the chef’s table overlooking the Andes. Everything we prepared was delicious and incredibly fresh. 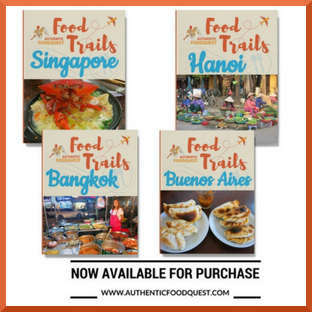 There was not a lot of preparation that went into the dishes and as a result, the intense flavors in all the dishes were heavenly. 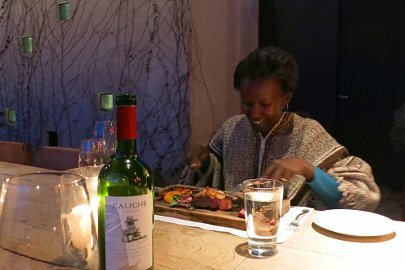 One nice little perk is that as the temperatures dropped, we were provided with ponchos to keep us warm and enjoy a delicious meal and setting even longer. 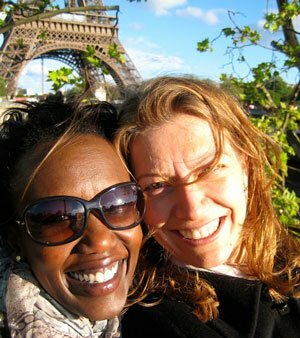 Simply, an incredible and amazing experience! There were two other techniques that we did not get a chance to experience on our visit. One is the Rescaldo, which looks like a dirt hole in the ground. 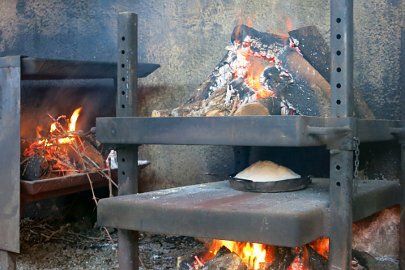 This method of cooking involves covering the ingredients with hot embers and warm ashes. This is a slow fire cooking technique. 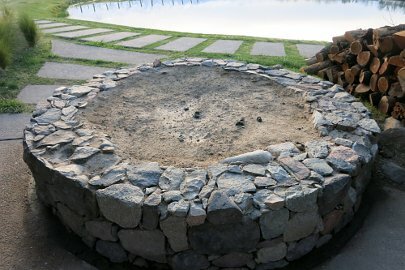 A fire is made in the ground and the vegetables or meats wrapped in a cloth are placed on the fire, covered with rocks and dirt and left alone to cook slowly. Vegetables are left to cook for about 4 hours and meats (goat, lamb, chicken) cook slowly for about 6-7 hours. The Asador also known as Pirca or Cruz is a strange looking carousel-like contraption that looks like it should be displaying products and not cooking meat. This technique is used for cooking whole animals like pig, goat, lamb or chicken. The animals are butterflied and fastened with wires in a cross-like formation and slow cooked for about 8 hours. Whole chickens are hooked on one of the hooks and slow cooked for about the same time as well. Learning about cooking with fire was an eye-opening experience for us. The Seven Fires techniques are actually quite difficult and need the skillful eye of a chef. Not only he/she needs to be cognizant of the different fires going at the same time, but also finely attuned to the temperature of each technique…an extra five minutes can make or kill a dish. 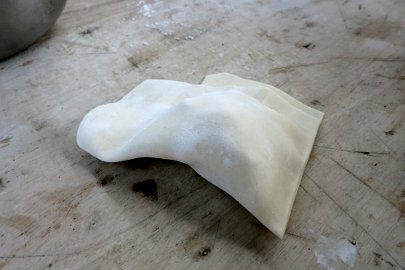 With this type of cooking, the product is core and at center with each technique bringing out a different flavor. 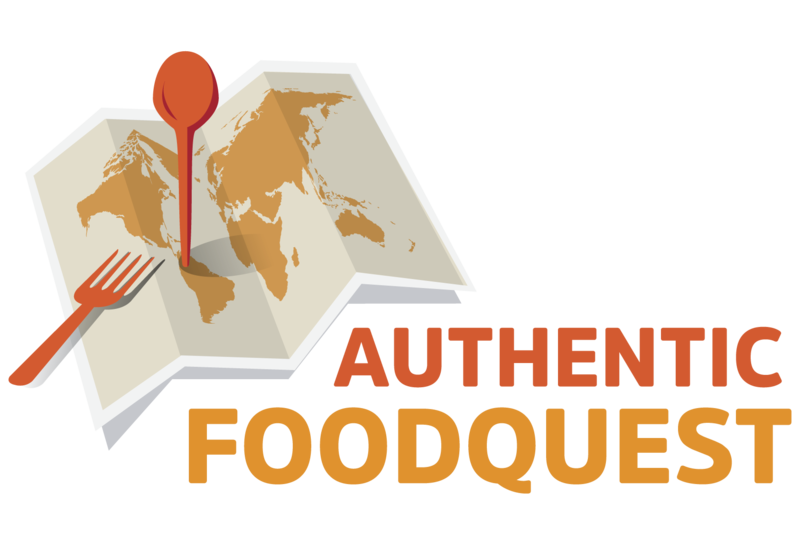 Generally speaking, the products or ingredients are not transformed or altered much. If the raw product is good, its goodness will be revealed in its finished form. 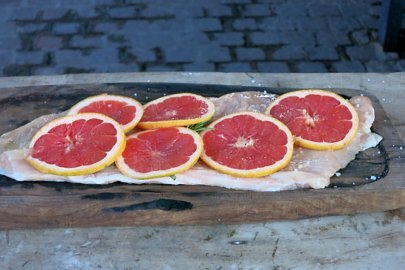 What Francis Mallmann has created is a simple, yet powerful approach that strips down cooking to the naked product and the elemental fire. Impeccable…these Seven Fires techniques must be experienced. 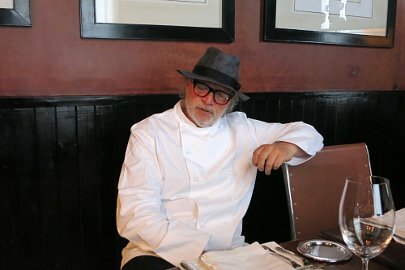 I love Francis Mallmann. I used to have a crush on him back in the 90s when he had his TV show. I like his approach to life as well. Thanks Anna for your response. 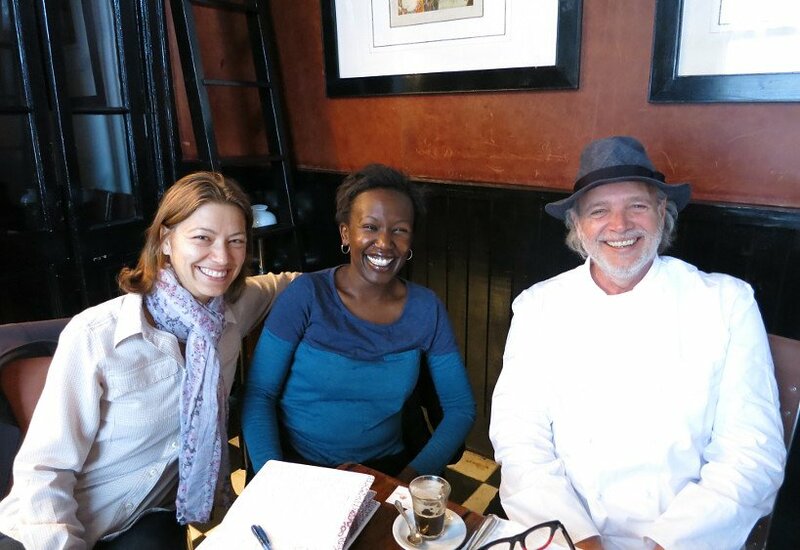 Francis Mallmann is a great guy and also very charming. He quickly put us at ease and was very easy to talk to. We’ve been very impressed with his cooking with fire techniques. Simple, yet complicated. The meals are fabulous.